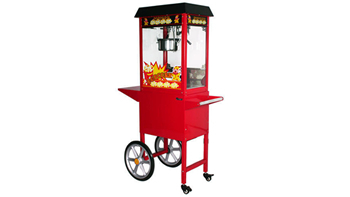 These are our top 3 most popular party hire packages. 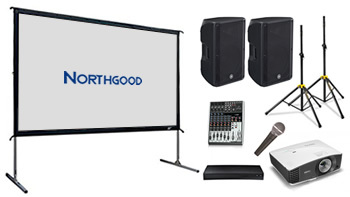 3m wide screen, 4000 lumen projector, blu-ray player, 2 x 1000W 15″ speakers, 1 x wired microphone, mixer, stands, cables. 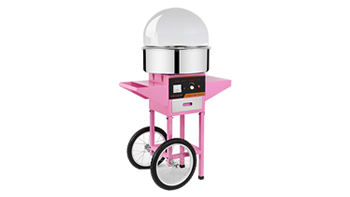 2 x 1000W 15″ speakers, 1 x wired microphone, mixer, stands, cables, lighting and haze machine. 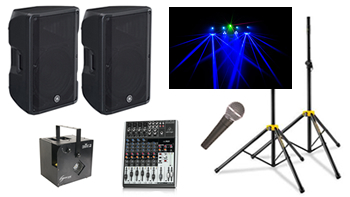 Party speaker packages are suitable for indoor or outdoor use and are powered by 240V wall sockets. 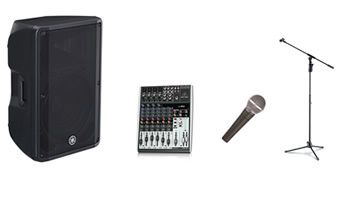 1 x 1000W 15″ speaker, 1 x wired microphone, mixer, stands, cables. 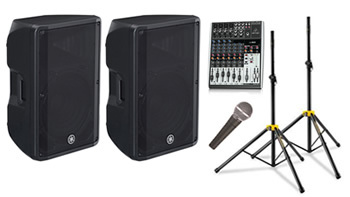 2 x 1000W 15″ speakers, 1 x wired microphone, mixer, stands, cables and connections for phones/tablets/laptops/etc. 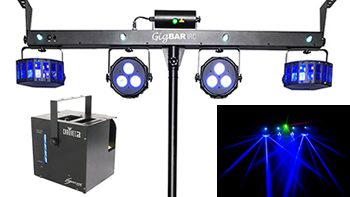 Party speaker, lighting and effects packages are suitable for indoor or undercover use and are powered by 240V wall sockets. 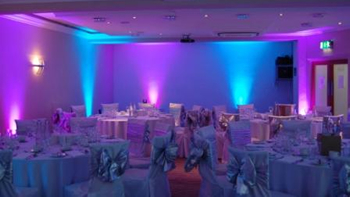 Wired or Wireless LED Uplighting. 4 in 1 Party Light Rig, Haze Machine. 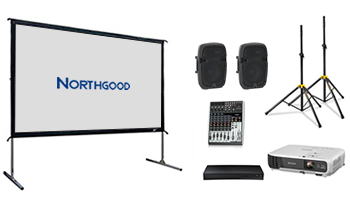 These projector, screen and speaker packages are suitable for outdoor use or indoor (if you have enough ceiling height). 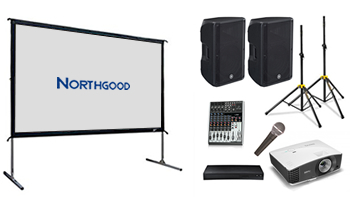 2.5m wide screen, 3000 lumen projector, blu-ray player, 2 x Budget 8″ speakers, mixer, stands, cables. 2.5m wide screen, 4000 lumen projector, blu-ray player, 2 x 1000W 15″ speakers, 1 x wired microphone, mixer, stands, cables. 4.75m wide screen, 4000 lumen projector, blu-ray player, 2 x 1000W 15″ speakers, 1 x wired microphone, mixer, stands, cables.